Create balanced schedules, message your members, collect signups and payments online, and pull detailed reports with ease. 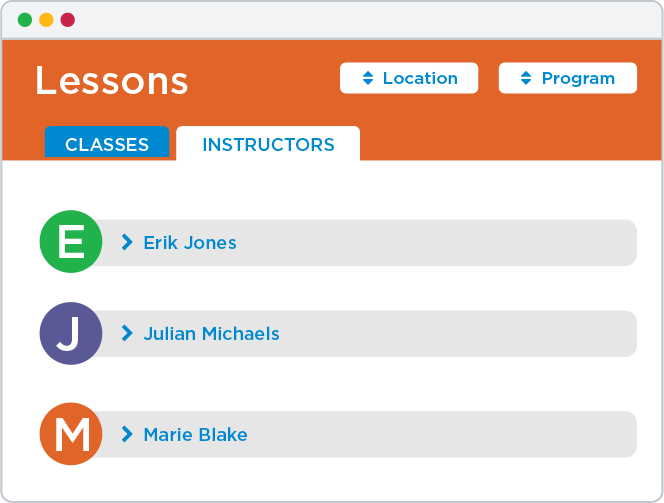 Organize your schedules by class name, instructor, skill level, or time to make it easy for members to find the perfect fit. Then, use the heatmap feature to get an overview of schedule conflicts, find opportunities to add new classes, and see which classes might be a little too popular. Give parents the freedom to search, select, and sign up for classes anytime, anywhere. Ditch the stacks of paper, collect fees instantly, and keep all of your member information organized online. 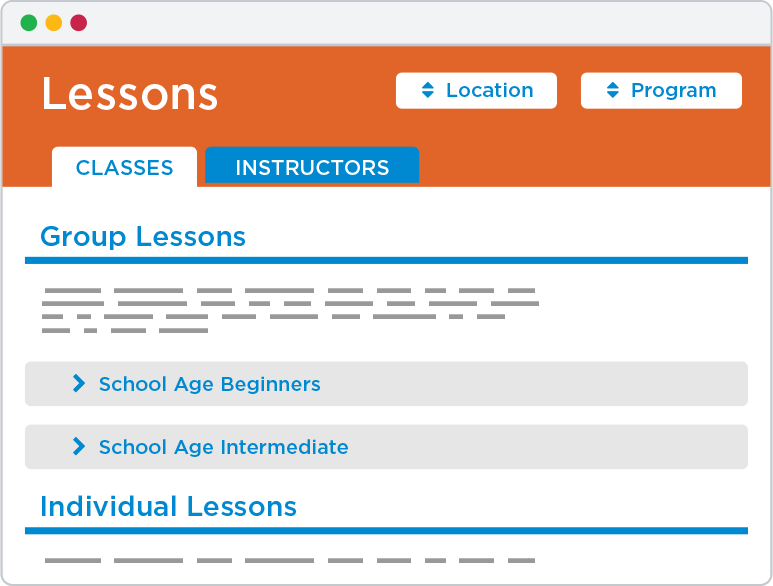 Keep parents updated on how their kids are doing by adding curriculum milestones and tracking to your classes. Families can view the progress at any time by signing in to their private account. Send emails or mobile notifications to your members without rummaging through your digital Rolodex. A few clicks are all it takes to filter and select individuals or groups, then send a message straight to their inbox or mobile device.